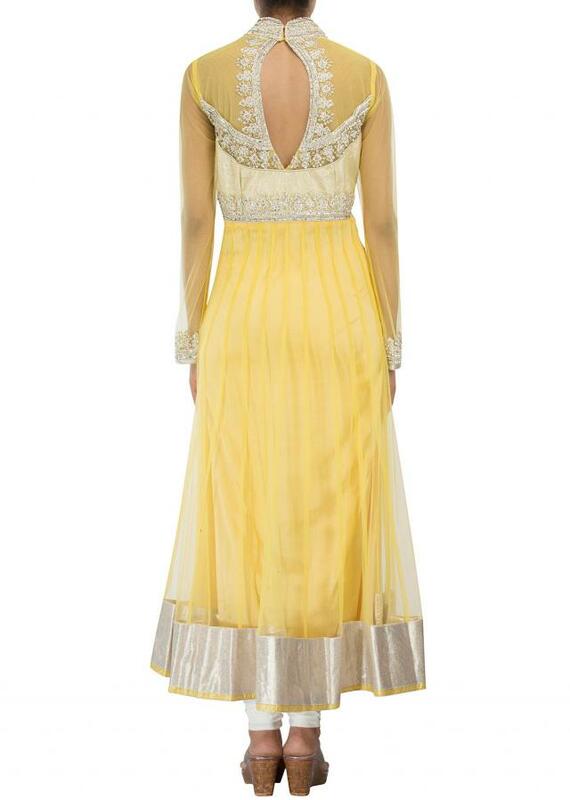 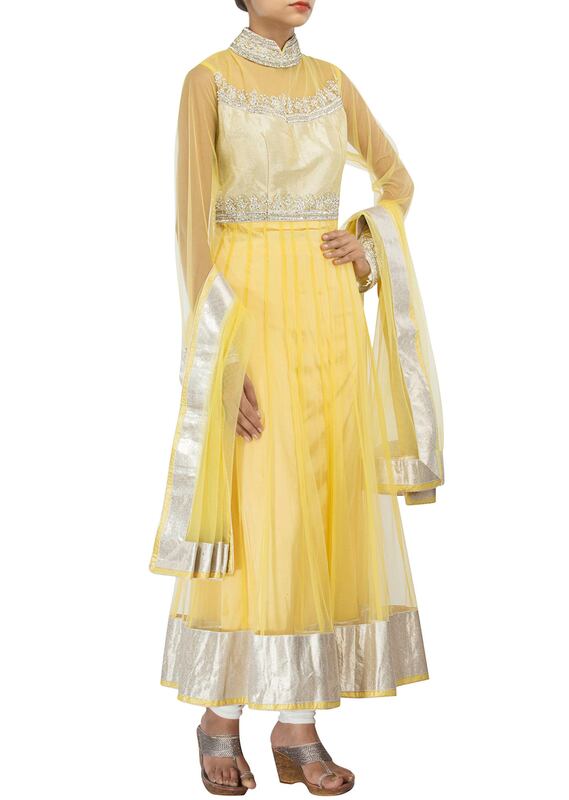 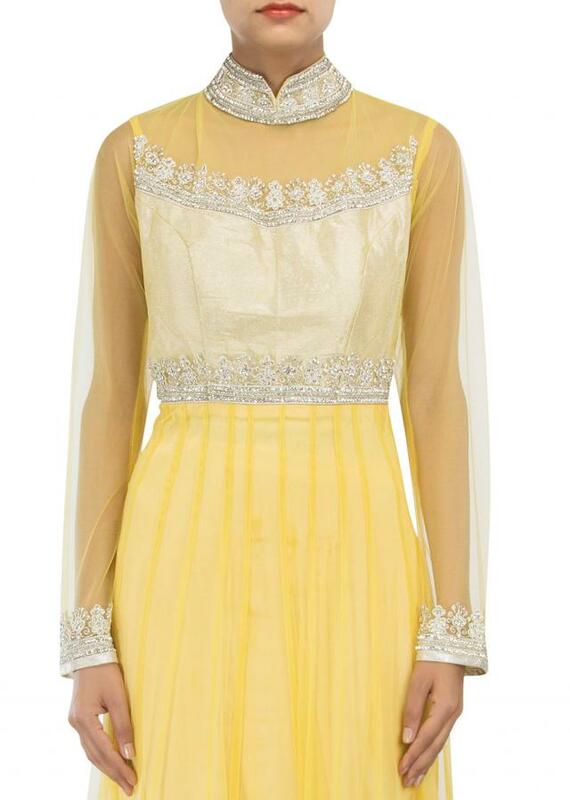 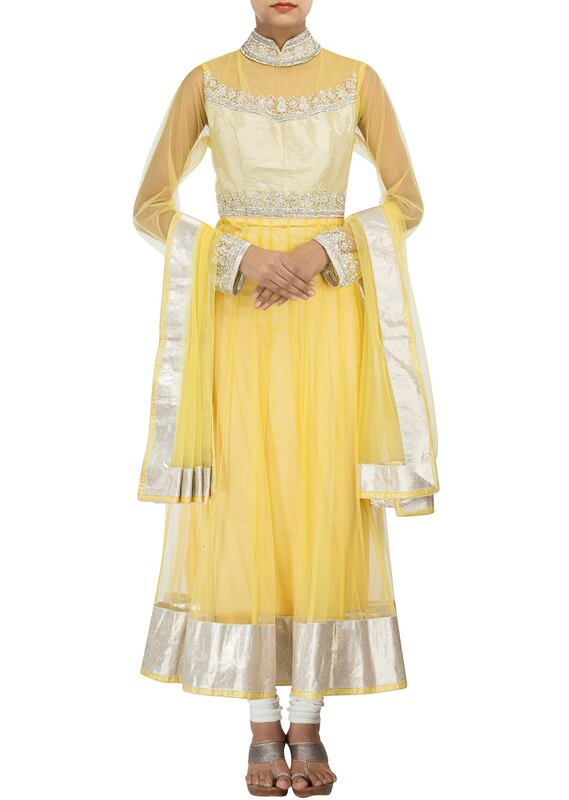 Yellow anarkali suit featuring in net. 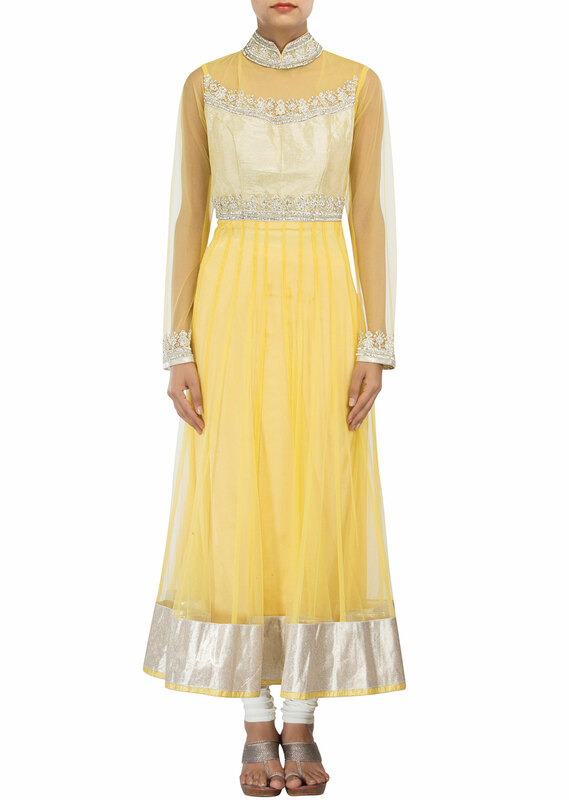 Its yoke is embellished in stone and kardana embroidery. Churidar is unstitched in gold shimmer and dupatta in yellow net with lurex border.